Science says you can start doing these today and see major benefits. As children, it was relatively easy to be physically fit, between our boundless energy, constant opportunities to play with other kids, and the state-mandated physical activity of gym class. But as we age, it becomes harder to make exercise a priority. If you’re not in the habit of scheduling regular workouts into your week, you may think it’s too late. But, according to a large new study from the National Cancer Institute, it’s definitely not. The research found that people who started exercising in midlife enjoyed the same protection against mortality as people who had always worked out. (Just note that it also works the other way: If you stop exercising in midlife, all the mortality points you may have racked up earlier on in life go away.) So get and/or stay moving! Like exercise, it’s entirely possible to develop good sleep hygiene later in life, even if your sleep habits haven’t been the best up until this point. It’s a common misconception that people need less sleep as they age, according to the National Sleep Foundation, though our sleep patterns can change. The key is to pay closer attention to our “sleep architecture” — recognizing what prevents us from falling and staying asleep — and solving for those issues. If you’re having trouble winding down at night, you might want to try one of our Thrive Microsteps (small, science-backed behavioral changes that can make a big impact), like turning off your electronic devices a half hour before bedtime, or taking a hot bath or shower to help you transition into sleep mode and symbolically wash the day away. Sleep is certainly an integral part of our physical and mental health, but getting enough shut-eye can also make us better and more successful people. According to Thrive Global’s Sleep Editor-at-Large and CEO of Sleep Number, Shelly Ibach, sleep is deeply connected to our kindness and relatedly, our ability to form and maintain meaningful connections with others. “When we’re well-rested, we’re more present in our interactions. We take more time to listen. We’re more available. And presence leads to kindness. It enables us to connect in a way that brings joy to both parties,” she wrote in an article on Thrive. Being thankful should not be relegated to one Thursday in November — it’s something we should practice on a daily basis. And, like exercising and getting more sleep, it’s something that’s free, never too late to start, and available immediately. So why should we take the time to practice gratitude? For starters, it can improve our physical and emotional well-being, as well as our relationships with others, according to Robert Emmons, Ph.D., professor of psychology at the University of California, Davis, and author of Thanks! How the New Science of Gratitude Can Make You Happier. 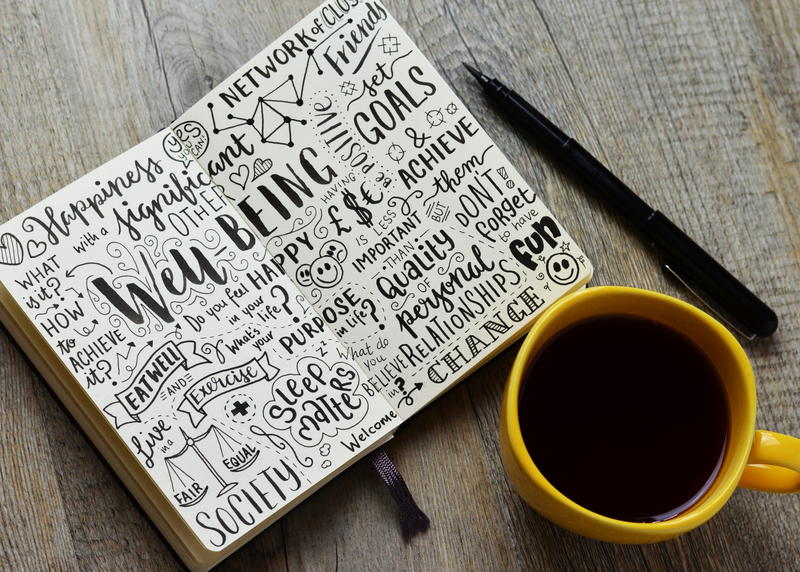 In his research, Emmons had participants — ranging in age from 8 to 80 — use a gratitude journal, where they wrote down things that made them feel grateful, and noted that many of them began feeling the positive changes within just three weeks. He found that people who practice gratitude experience a wide range of benefits, including stronger immune systems, lower blood pressure, feeling more awake and alert, being more optimistic, being more forgiving, and feeling less lonely and isolated — among many others. Even if you don’t write down what you’re grateful for, just taking a minute to pause and reflect on it can have a big impact on your day and for your overall well-being.